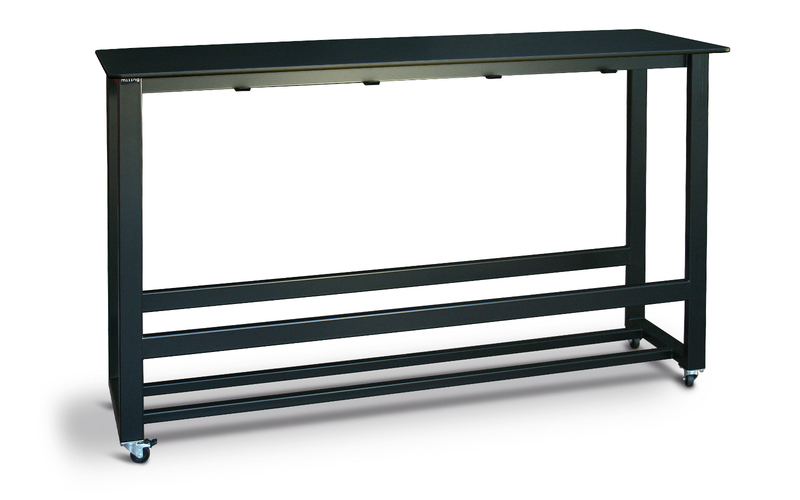 Indoor and outdoor movable table, mounted on 4 wheels with brakes. 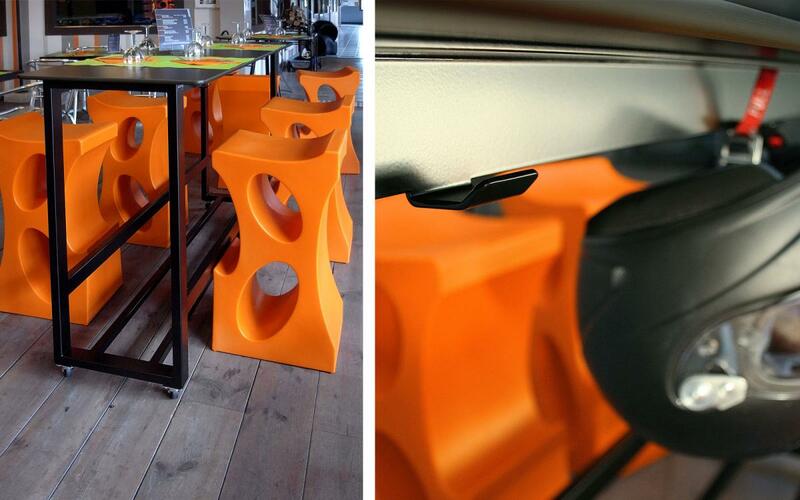 Able to store 4 EXTRU bar stools, 8 hooks under tabletop for bags, clothing or helmets. 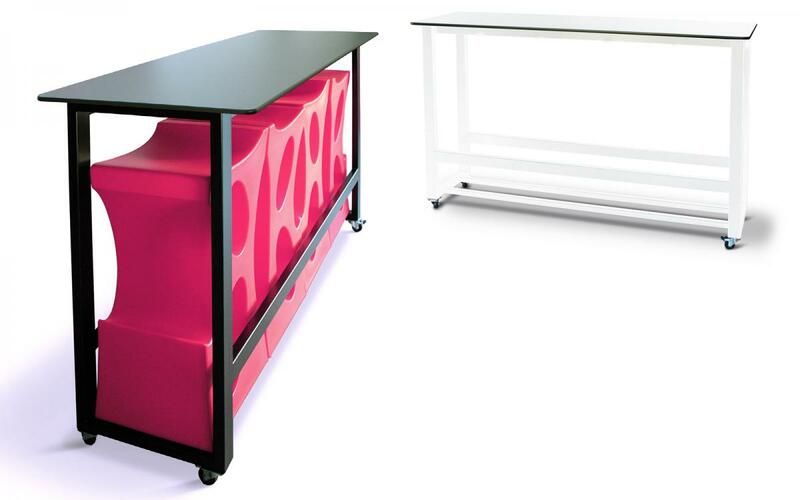 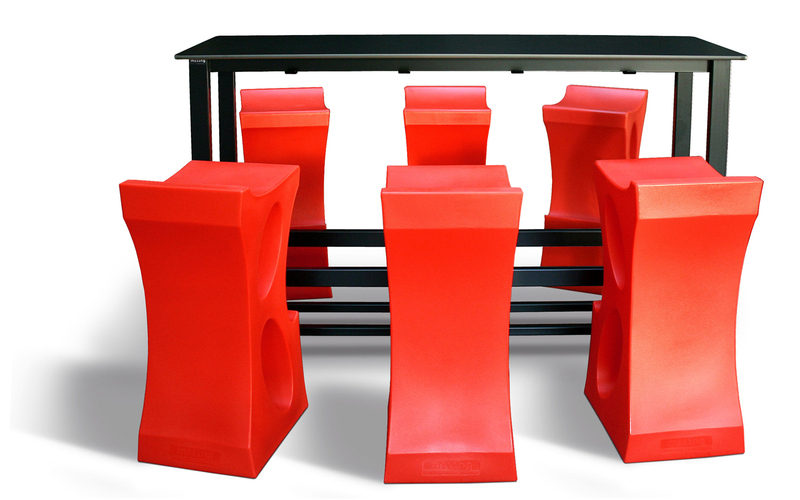 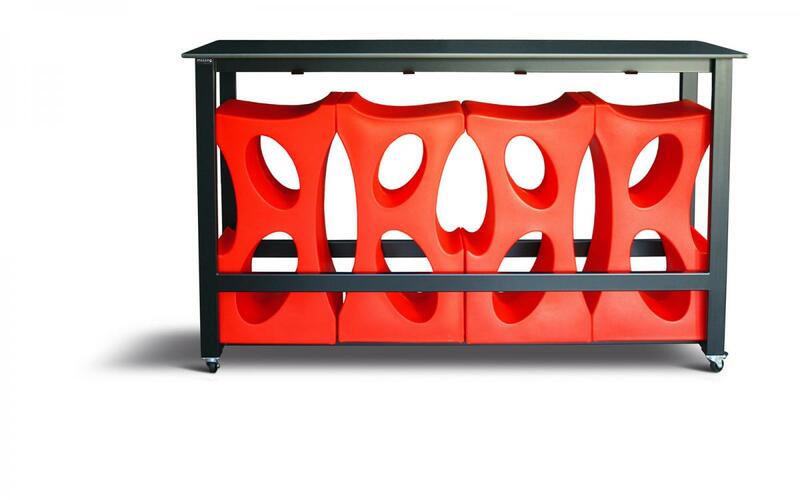 Compact laminated table top, base made of steel coated with baked polyester powder finish.